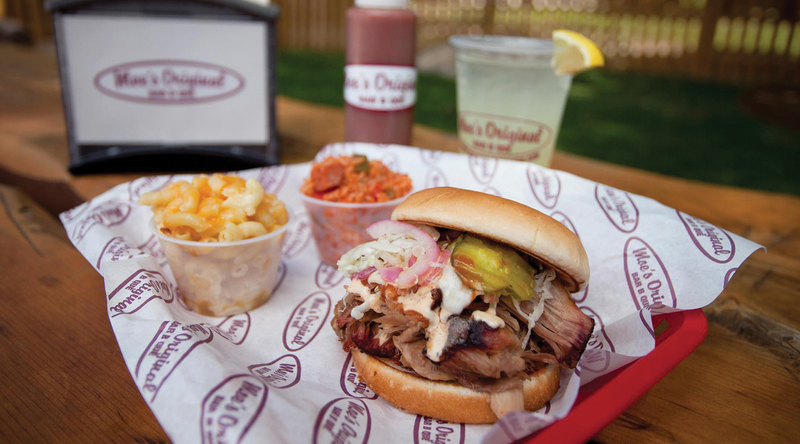 Moe’s Original Bar-B-Que is an easy-going BBQ joint that smokes their meats in-house. Moe’s turns out a whole lot more than barbecue. Both the Shrimp Moe Boy and the smoked wings with Alabama White sauce come highly recommended, but you need to try their sides and desserts as well. The recipes have been passed down for generations and are perfect to pair with one of the 20 rotating taps. Moe’s Original Bar-B-Que is a Southern soul food revival. They serve incredible food in an atmosphere that is soulful, relaxed, spontaneous, yet civilized…well, sometimes.